Trade union Mandate said almost 10,000 workers would have their pay back-dated to the beginning of the month. 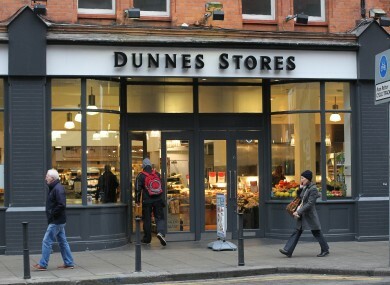 MANDATE TRADE UNION has this evening confirmed that they have secured a 3% pay rise for its Dunnes Stores workers. The union said it welcomed the increase but said it is still concerned about the security of hours for its members. Mandate lodged a claim for a 3% pay increase on 30 March and the Labour Court had recently set a date for a hearing at the start of December. The union said the pay increase will be back-dated to the 3rd October 2016. Mandate assistant general secretary Gerry Light said: “This is another massive success for the workers in Dunnes Stores who have stuck together in their union and campaigned for better pay and working conditions for all Dunnes workers. With housing and rental costs increasing and motor insurance up significantly, this will go some way towards ensuring Dunnes workers are not left out of pocket. Light added that Mandate would continue its campaign to secure contracts which would guarantee workers a set amount of hours per week. Email “Dunnes Stores workers secure a 3% pay rise”. Feedback on “Dunnes Stores workers secure a 3% pay rise”.